For Racor manual switch stands: 20P, 22E, and 36E. Fits 1-1/2" square adapter sleeve. 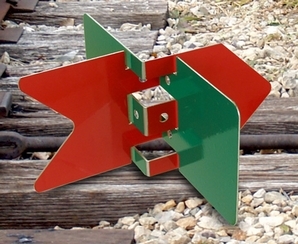 Sold in set of 1 red and 1 green plate (adapter sleeve is sold separately).